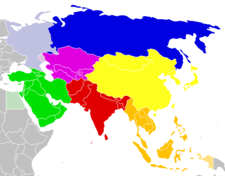 ↑ The area figure is based on the combined areas of five countries in Central Asia. 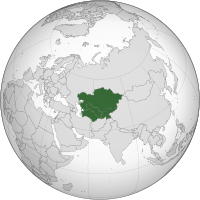 ↑ The population figure is the combined populations of 5 countries in Central Asia (last updated Mar 1, 2012). ↑ Paul McFedries (2001-10-25). "stans". Word Spy. Retrieved 2011-02-16.